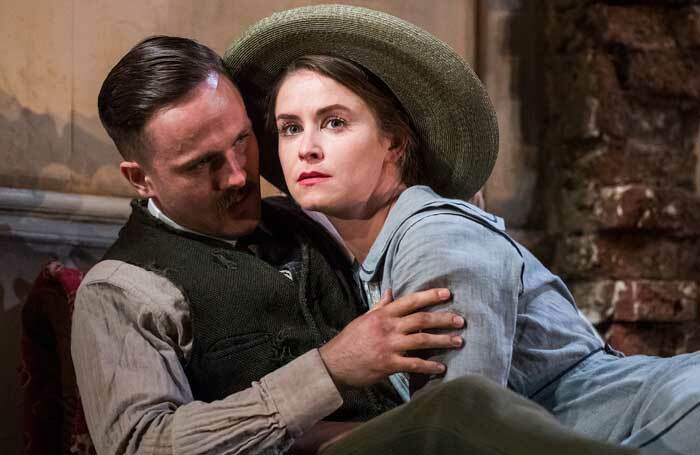 This year, the centenary of the Easter Rising, has already seen Sean Holmes direct a major revival of Sean O’Casey’s The Plough and the Stars at the Abbey Theatre in Dublin. Now it’s the turn of the UK’s National Theatre, in a handsome production co-directed by Howard Davies and Jeremy Herrin (the latter stepping in when the former fell ill). 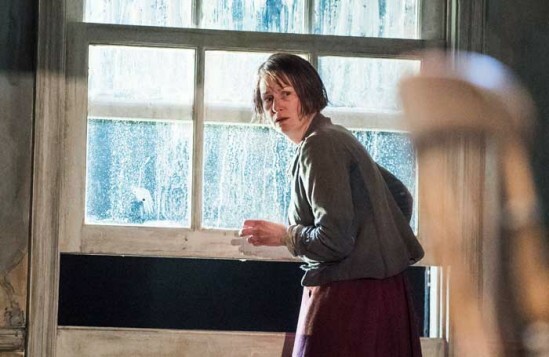 Vicki Mortimer’s Dublin tenement set is incredibly evocative. The vast, rotating structure is peeling and crumbling even in the opening scenes set in 1915. It already looks war-ravaged. 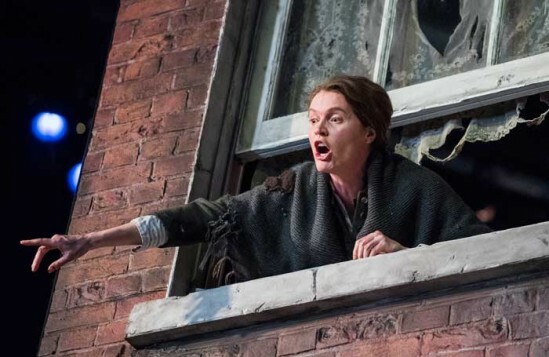 The whole thing twists ingeniously so the audience can see the outside of the building too, and really get a sense of people living on top of each other, the poverty and hardship, but also the sense of community. Among the characters sardined in this space are Jack Clitheroe, a member of the Irish Citizen Army, and his wife Nora. There’s also Young Covey, a wee gobshite who speaks in Marxisms, and Fluther, a puffed up but generally decent fellow. There are times when this production feels almost too solidly done. 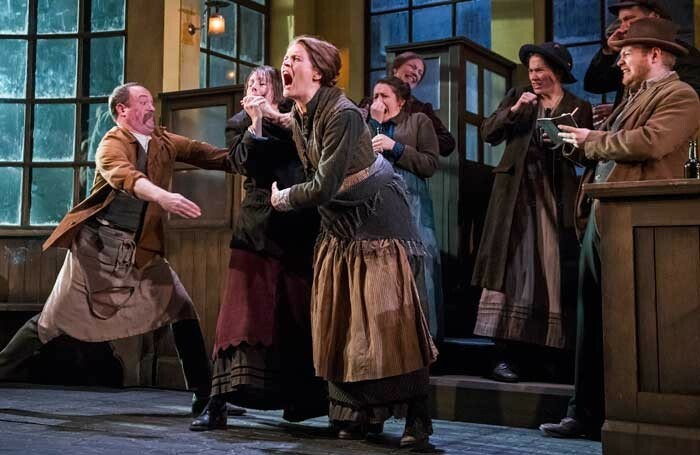 Its status as a classic weighs heavily upon it, particularly in the opening scenes – this is a big, proper production of a historically cultural and significant play and it’s aware of that fact – but Herrin and Davies have assembled such a capable cast that this soon stops being an issue. 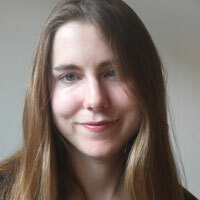 Judith Roddy’s performance as Nora is almost unbearably raw. Stephen Kennedy runs with the rhythms of the text as Fluther and Justine Mitchell’s hard-mouthed fruit-seller becomes warmer and kinder as the play progresses. 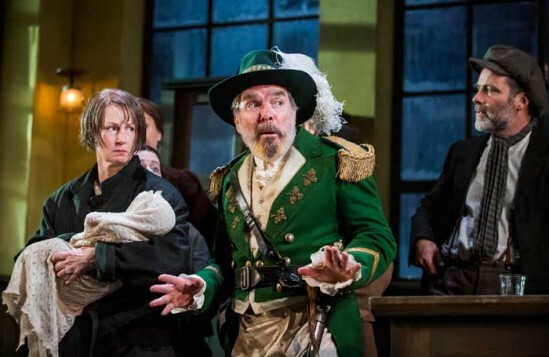 Before the slightly melodramatic finale the play delivers scenes of tension, humanity and humour. 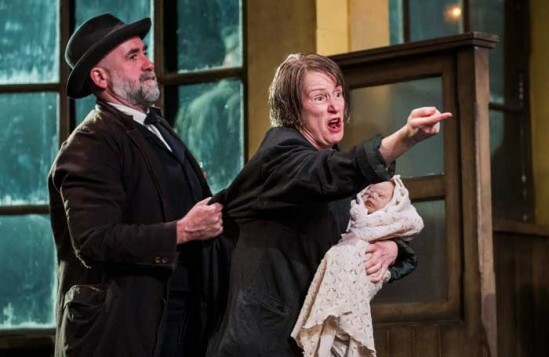 O’Casey’s politics still feel compelling, and the play’s warning worth repeating.